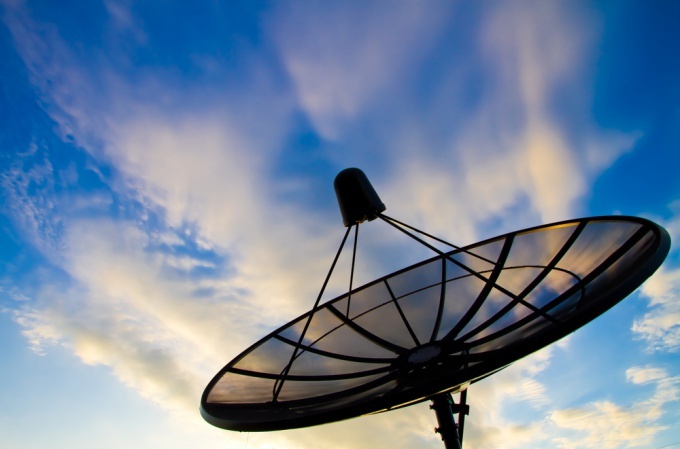 A satellite dish is purchased, the receiver is unpacked, and in order to take in the abundance and diversity of TV channels it remains to configure the receiver. The most complex and delicate part of the configuration is correct and accurate alignment of the antenna to the satellite. The fact that the deviation of the antenna with a diameter of 90 cm only 1 degree from the optimal direction leads to a weakening of the signal by half, and the tools used for antenna pointing, have a much more significant error. This means that the instrument points the antenna is possible only approximately, and the final setting should be based on the actual level of the received signal. Connect the receiver to the TV receiver, set the TV so that menu was on the screen. Tune will specify the frequency of the local oscillator, as the input of the receiver receives a signal equal to the difference between frequencies of the satellite signal and the local oscillator of the Converter. Open installation of the antenna (or Antenna Settings Antenna Setup) and set the lo frequency. Click the search channels (Channel Search) and specify the signal parameters of the satellite, which in this area is definitely accepted. Scale the quality of the signal appeared on the screen to set up. Rotate the antenna until the quality scale will not show a result different from zero. It remains to bring the antenna so that the signal reached a maximum value, to fix its position and to search for channels. It will not hurt to make sure that "caught" you need a friend, because different satellites are the same parameters of the signals. Follow the signal level during final tightening of the bolts: this operation is dangerous because the antenna can lead the way. "Search" of the channels is actually not so much as download it to your device memory data on the characteristics of satellite programs. This data is transmitted in the signal and must be correctly recognized by the receiver. They can also be entered manually (manual search, Manual Search), which is more time consuming, but reliable. Automatically adjust the receiver easier, but it may take more time. The most effective is the network search (Network Search), but not all companions support him (NTV support, and Yamal ).